We are family...I got all my cousins with me! I finally had an evening where I was in bed before midnight (in fact, I was in bed before 11) - and I can't sleep. So, I'll blog. Aww....Laura Jeane the beauty queen. Miss this girl! Using only song names from ONE ARTIST, cleverly answer these questions. Pass it on to other people you like and include me. Try not to use the band I used, and try not to repeat a song title. (It's a lot harder than you think!) Repost as "My life according to..."
I've said it before, but God sent an angel to me in a dark time in my life when I needed it the most, and I've had the privilege of becoming his wife. He's saved my life in so many more ways than even he realizes, and I'm so honored to be by his side. I love you baby, with all that I am. Happy Anniversary! Alright, so I know that if you follow my blog, you've seen these pictures before of Caleb, but I finally finished his 'year 2' mini-album and I'm so proud of them, I have to share! Caleb's album turned out really fun, I decided to stick with a one-paper theme. Because the album is so small, it's hard to find room for journaling, but it was fun to be creative on ways to do it! The back: Simple, and complete! It FINALLY feels like summer these last few weeks. Either way, I've finally been able to enjoy it summer the way it's meant to be enjoyed. Over the last two weeks, we've gone swimming, been to the park, watched Daddy play baseball, played in the backyard, laid out in the sun (just me, not the kids), had a picnic, went a graduation party, had a bonfire....I'm lovin' it! I had a CRAZY weekend...it was a ton of fun. It started off on Thursday, really, taking the kids swimming, trying to get a TB test (a failed attempt), and PT rehearsal. Friday, I went back and finally did the TB test, got a registry clearance, did some shopping, and had the best night @ work. Saturday, we got up and cleaned the house like crazy, went to my cousin Holly's graduation party, then headed to the Graney's for more PT practice and a BBQ/Bonfire. My sister-in-law came into town Saturday night (along with Jer's parents) so that we could go to Cedar Point yesterday! We had a great day. The weather was perfect. A little on the warm side if you were standing in the direct sun with no wind, but the breeze was beautiful. I usually hate going to CP this time of year, because it's right in the middle of summer and it's always busy.....plus, Mel has never been to CP so I would hate to spend the whole day in line and not get to ride most everything. Well, we rode EVERYTHING! The lines were reasonable. The longest wait we had was about an hour for the Dragster, and only because they shut it down TWICE while we were in line. We were finished riding everything by 8pm and decided to head home since Mel still had to drive 4 hours home after our 3 hour drive from CP to my house! I realized I'm getting older because I can't handle CP like I used to. I still LOVE the rides, I'm just not as willing to wait in line forever for them. Plus, I was so tired most of the day, and could barely drive home. But I'm so glad I finally got to go, it's been two years! 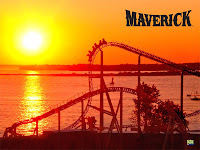 (I went to King's Island last year) And, I finally got to ride the Maverick, which was awesome! Great way to end a great weekend! Not just any job, a job as a preschool teacher! I will still work @ East Side my two evenings a week, since this preschool position is only part-time, but I'm so thrilled! What's even more thrilling is that this job totally came to me. I've been trying to find a way to earn more money without having to leave East Side, cause I really do love it there, but things weren't looking good. The new preschool position is perfect. It's part-time, it's extra money, it's related to my degree, and Faith will be in my class! That's right, I will be heading up the three year old class. I haven't got all the details ironed out, cause the school is in the process of ownership change and still doing all the licensing/etc. When this job was first brought to my attention, I immediately set it aside and said 'No thanks.' I wasn't interested in teaching at this point in my life because I wanted to be able to stay home with my kids. I always assumed I would get back into teaching when my kids started going to school themselves. When I was approached again with what this job really entails, I was totally excited! I love teaching and am so excited to finally have to chance to do it! Isn't God incredible like that? I'm a little anxious/nervous because I've been away from the teaching world for awhile now, I'm afraid I might forget how to do it. But I'm blessed to work with some really great people and I'm anxious to learn as I go. I don't think it's all really hit me yet, cause I don't really start teaching till the end of August, but I'm sure in a few weeks I'll be scrambling to get everything together! Other than that, a lot is in the midst. We are still working on the kitchen. This week marks 5 months...yes, you read that correctly, 5 MONTHS, since I've had a running sink or dishwasher. But, we got the ordered cupboard in, we've cut the counter top, and tomorrow we're planning on putting it all together. Once the counter top is finished and in place, we can put the sink back in!!! I'm anxiously awaiting my blessed reunion with my beloved kitchen sink! I've started Caleb's mini album this evening. Once I start a project, I hate leaving it til it's done, so I'm sure I'll get it finished soon and will post pictures! Tonight, I spent three hours cleaning and re-organizing my laundry room! It was a lot of work, but it's been driving me crazy! I've been storing most of my kitchen in there for the past 5 months, so I was finally able to get that all out and clean it. And, I've been wanting to make room to put our deep freezer in there. It looks great (well, as great as it can look - it's still a laundry room). 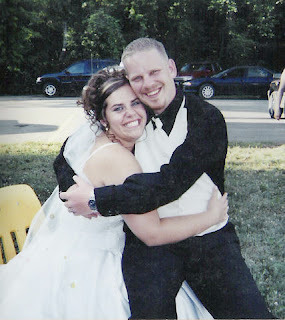 Late last week, Jeremy was experiencing a lot of lower abdominal pain. He couldn't even mow the grass, so I finally convinced him to go to Urgent Care in Rochester to check it out. They did an X Ray, found a few calcium deposits and blood in his urine, so they decided that it could be Kidney Stones....baring pain through the weekend, we had to wait til Monday to see our Doc. Monday involved an annoying and long visit to the doctor, followed by a Cat Scan, coming home with little or no information. They called early Tuesday morning and ask that Jeremy come to the hospital ASAP. So, I picked him up after lunch and away we went. They've discovered Diverticulitis, which is a condition where pockets in the colon become inflamed and infected. Glamorous, I know. So, they've hooked hubs up with IV antibiotics to help the infection, did some blood work, and wouldn't let him eat or drink ANYTHING yesterday. This morning, our doctor finally came to visit, informing Jeremy that if all goes well, he can leave this evening - but not without recourse. Jeremy's diet will be forever changing, and at least for the next week he'll be on a liquid diet. Furthermore, they think this may be onset by something worse, possibly Colitis. NOT FUN. And of course, the hubs is less than thrilled. 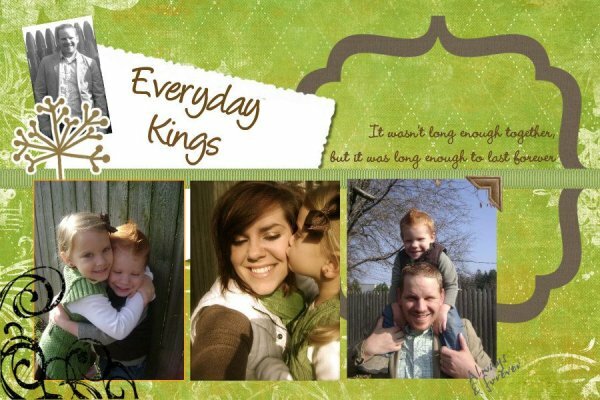 Thank you for everyone who has prayed/texted/called/facebooked...we really appreciate it. Please continue to pray that everything goes smoothly and that it's nothing too serious. Now, off to the hospital to visit with Jer some more, and his family.